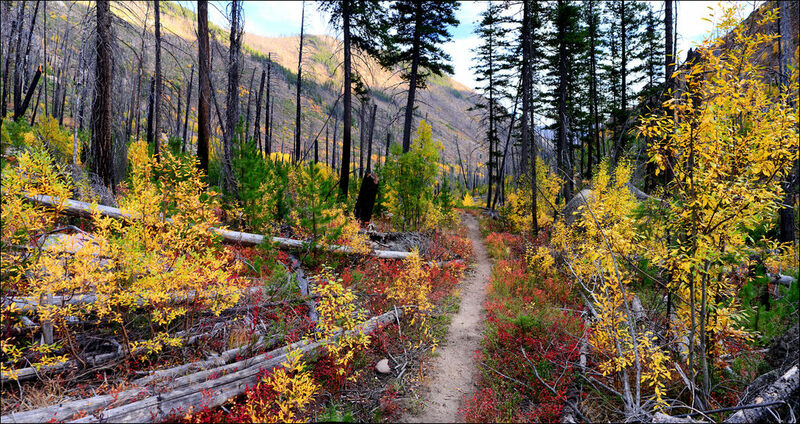 Located in the North Cascades and the Pasayten Wildnerness Area, the Chewuch River Trail gives hikers an idea of how the 2001 Thirtymile Fire shaped this landscape. It was in that fire that four firefighters lost their lives. There is a memorial dedicated to those firefighters that visitors can see on their way to the trail. The fire took out much of the vegetation in the area, leaving hikers exposed to the hot sun. Wildflowers often emerge in burned areas, and this landscape is no different. Flowers add pops of color to the area in the springtime. The hike can be anywhere from 6-14 miles roundtrip, depending on how far hikers are willing to go. The trailhead is just under a 30 mile drive from Winthrop.